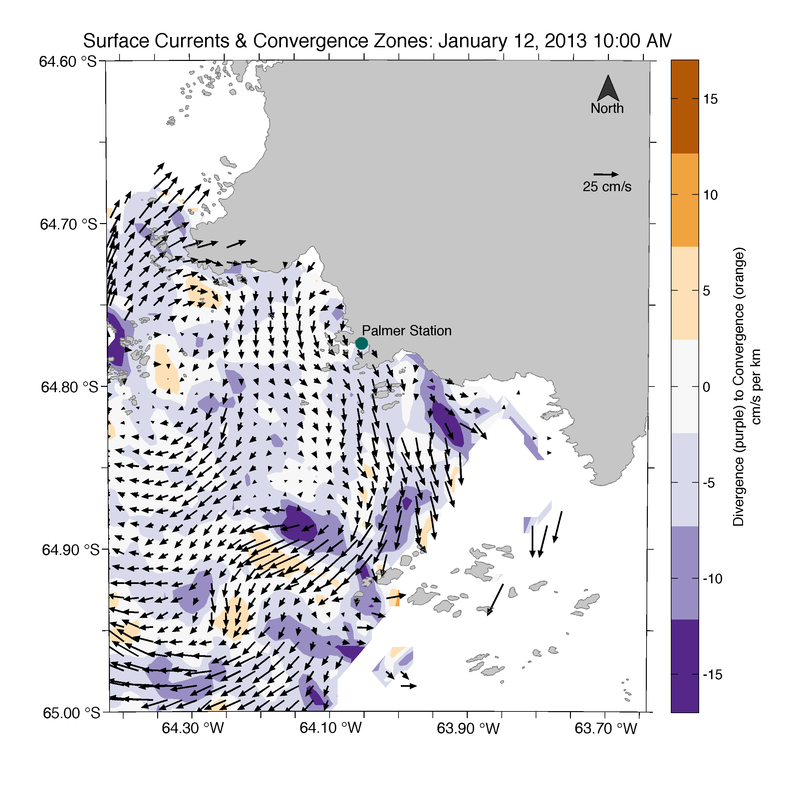 Converge Bring Antarctic real-world science into your classroom! The classroom lessons were developed to provide participating middle and early high school students with the background knowledge and understanding of the data and concepts utilized in this research mission. The intention of the lessons is to enable the students to understand the science team’s hypotheses, not to provide definitive answers of relationships. Therefore, it is important NOT to present the students with the science team’s hypotheses when beginning this project/these lessons. They introduce students to the ocean, Antarctic science, penguins, food webs, climate change as well. The lessons were developed to help students both understand the science of the research mission and to conduct their own investigations related to the topic for the Student Research Symposium. Importantly, the lessons were developed to integrate the Science and Engineering Practices of the Next Generation Science Standards into the lessons so that working with the data and using science practices is integral to completing the lesson. ** The first three lessons can be taught in any order that works best for you and your students, As Project CONVERGE, all of the activities and data experiences need to be taught as written in the lesson plan. ** The final lesson (Investigating Why Penguins Forage There: Piloting Gliders) must be taught as the final lesson. 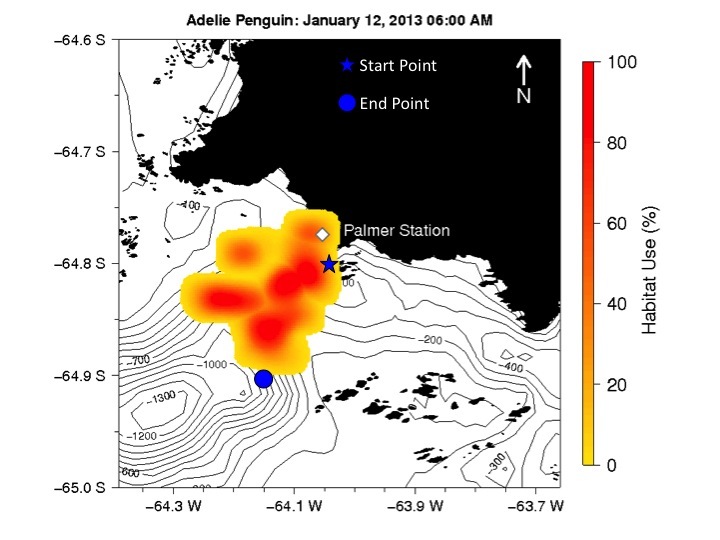 Penguins Foraging: Where and Why? Ocean Robots: What? How? Why? All of the lessons address New Jersey Core Curriculum Content Standards and the New York Science Learning Standards as well as align/support Next Generation Science Standards, Common Core: English Language Arts, and Common Core: Math. 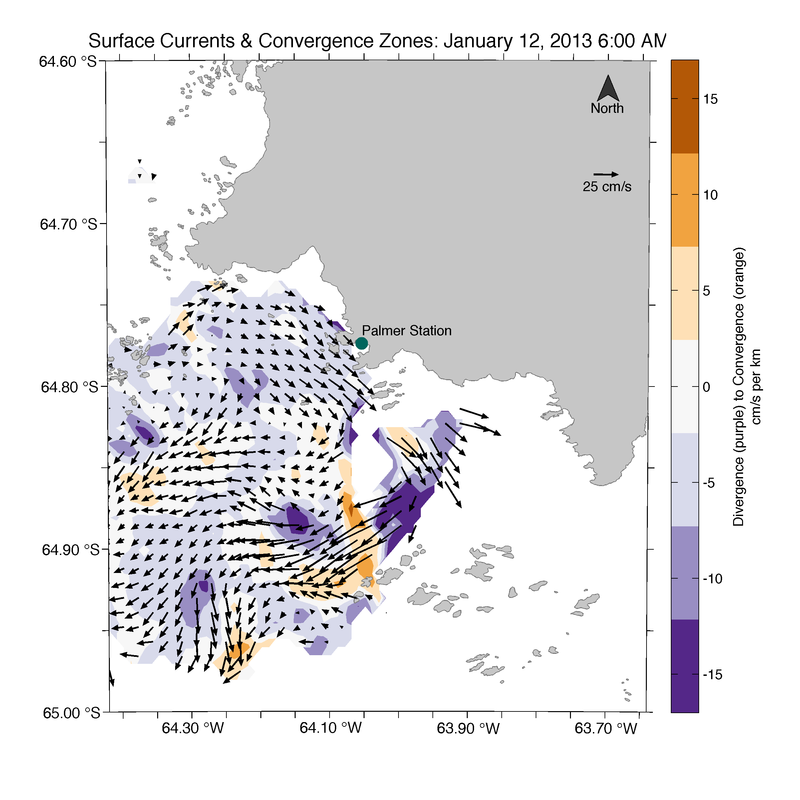 Ocean convergence zones occur where water comes together in a specific area due to the meeting of two ocean currents or when the water meets the coastline. This often causes a build up in height of the surface. 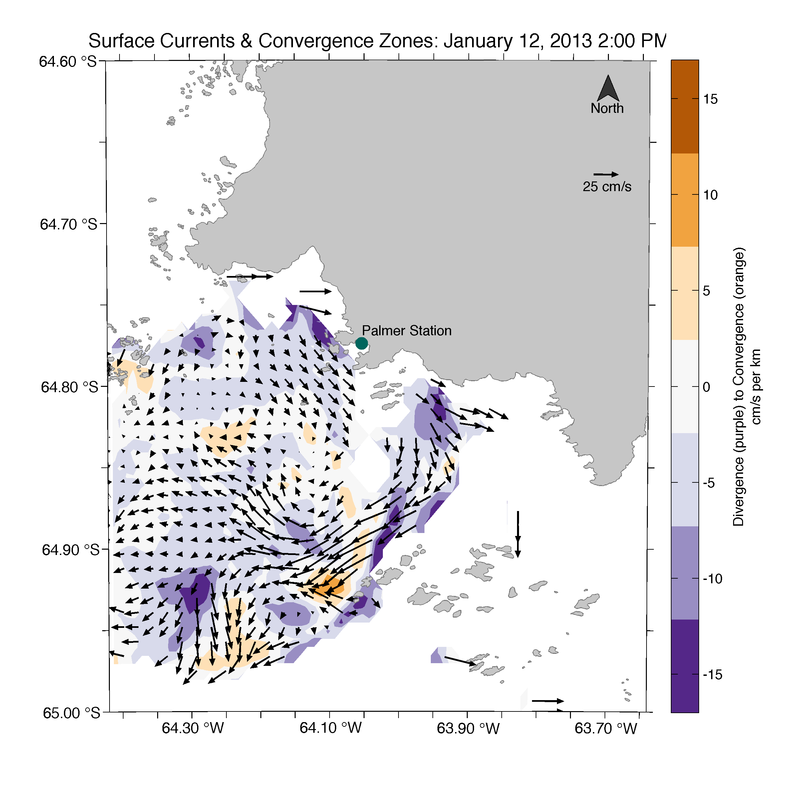 Anything floating at the surface collects in a convergence zone. 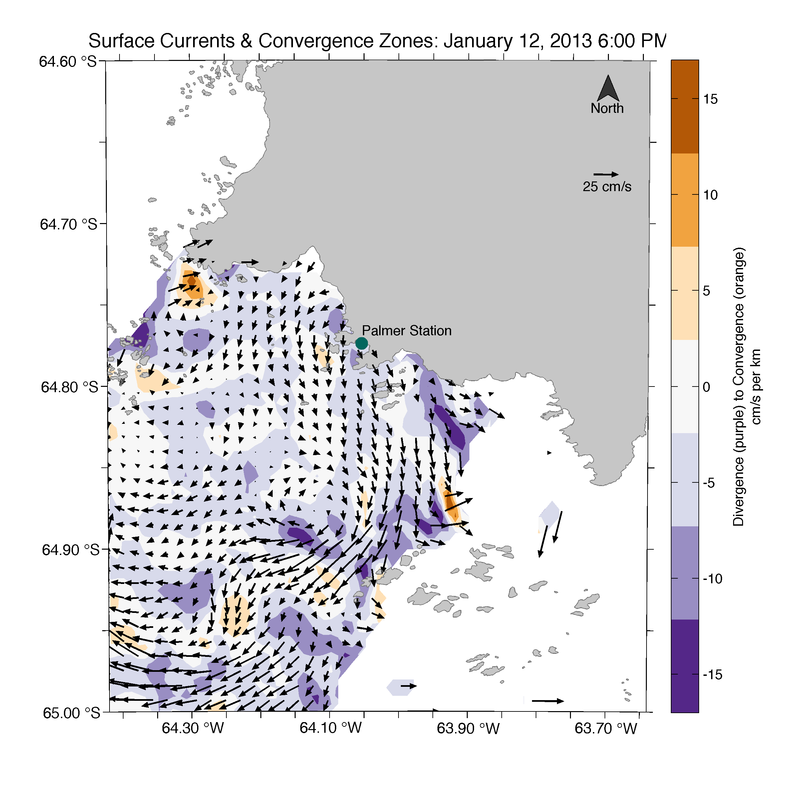 The students will participate in a hands-on activity to explore how convergence zones collect particles in the water. 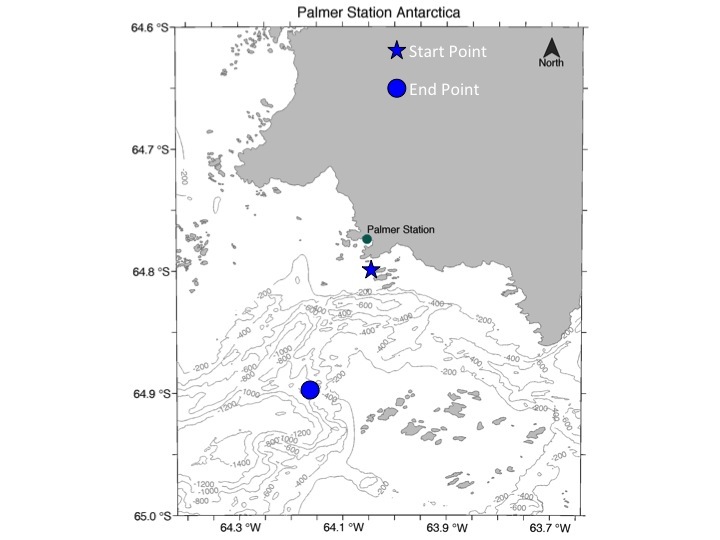 Students will then look at Surface Current maps from Antarctica to find patterns in where convergence zones occur in the Palmer Deep area. Adélie penguins forage by collecting Antarctic krill and returning to their nests to feed their chicks. 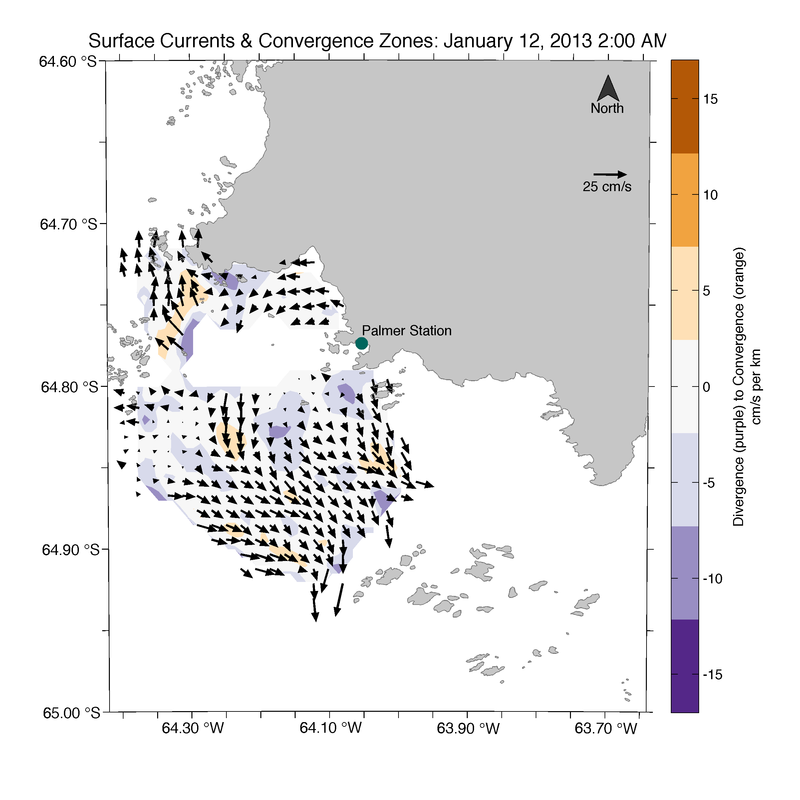 Forage density is higher in convergence zones, as the penguins are more efficient at finding food. Students will experience foraging behavior of Adélie penguins by acting out foraging patterns and analyzing their data. 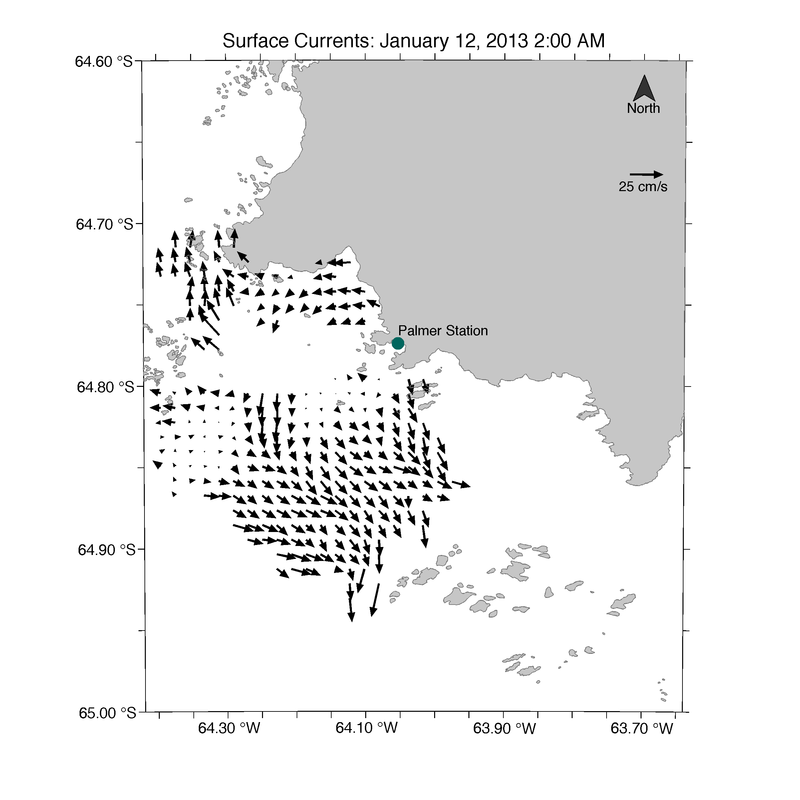 The students will then look at distribution data of penguins foraging to determine what factors could influence the location of penguin foraging. Ocean Robot: What? How? Why? 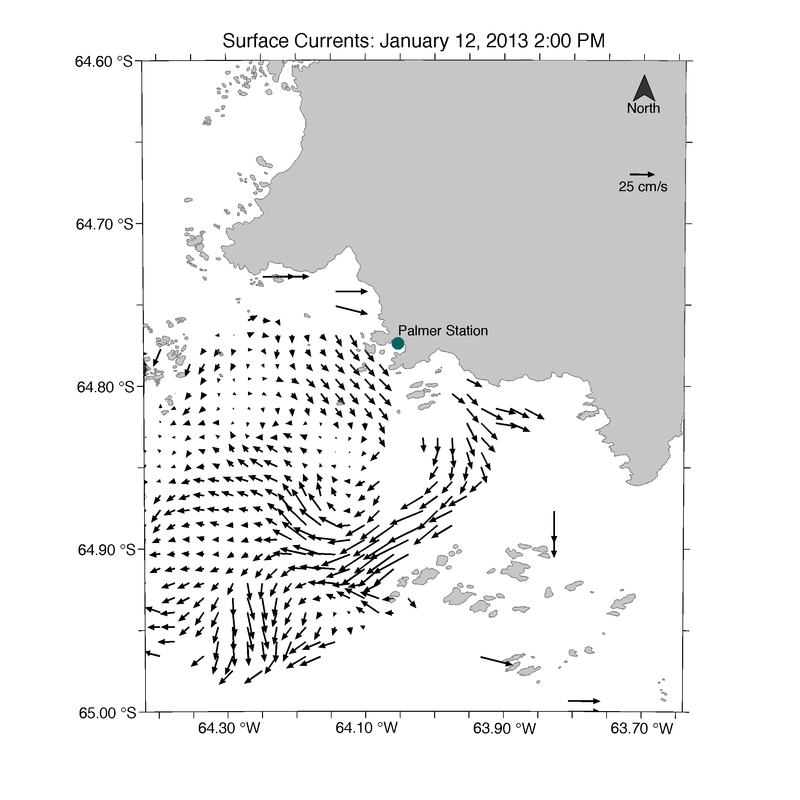 Gliders enable scientists to collect lots of information about the ocean conditions (e.g., temperature, salinity, phytoplankton) throughout the water column. 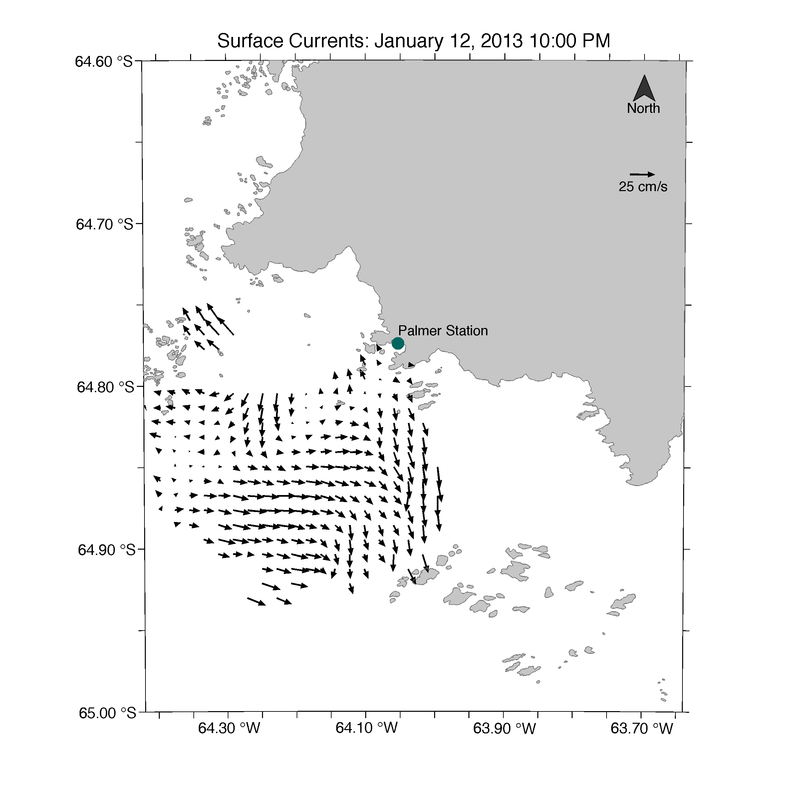 Data from gliders informs us of the variety of conditions throughout the ocean from the surface to deep areas, which vary in their properties. Through a class demonstration, the students will make observations about how the glider works and moves. 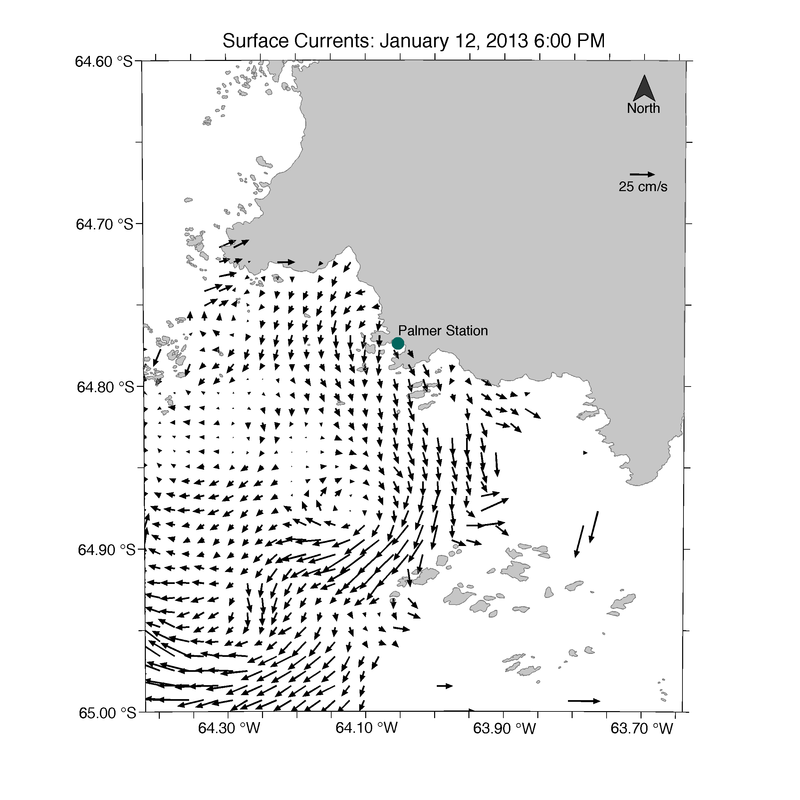 Building upon these observations, the students will brainstorm why and how scientists use ocean robots (i.e., gliders) to collect data as well as become oriented to glider data to look for variations of ocean conditions throughout the water column. The students will then begin to think about how the scientists navigate a glider. 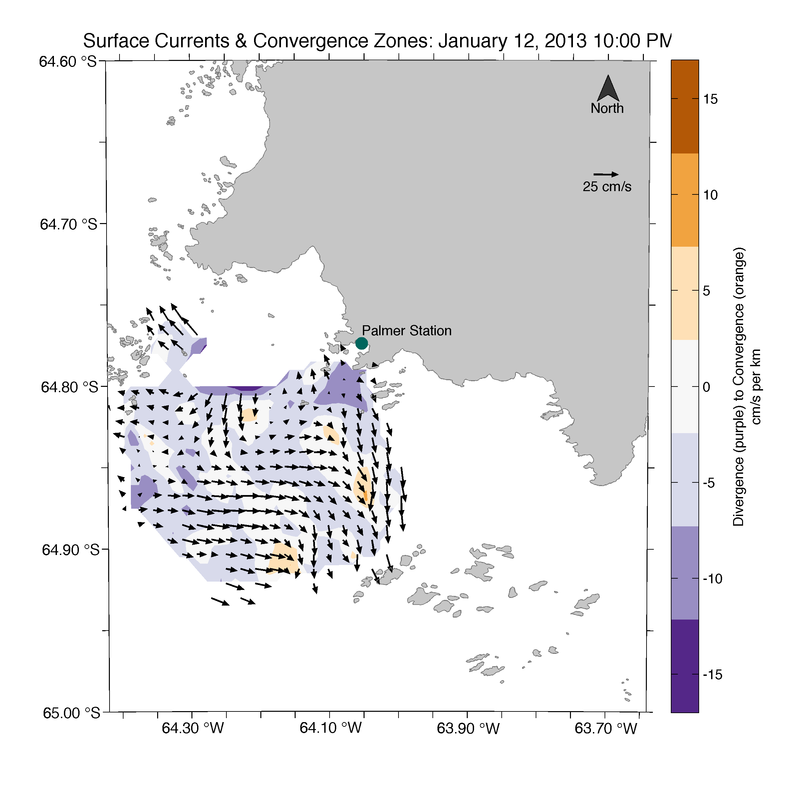 Balancing multiple datasets from locations where penguins are foraging and where ocean convergence zones exist to decide where to send the glider, to learn about what ocean conditions encourage penguin foraging, is challenging. 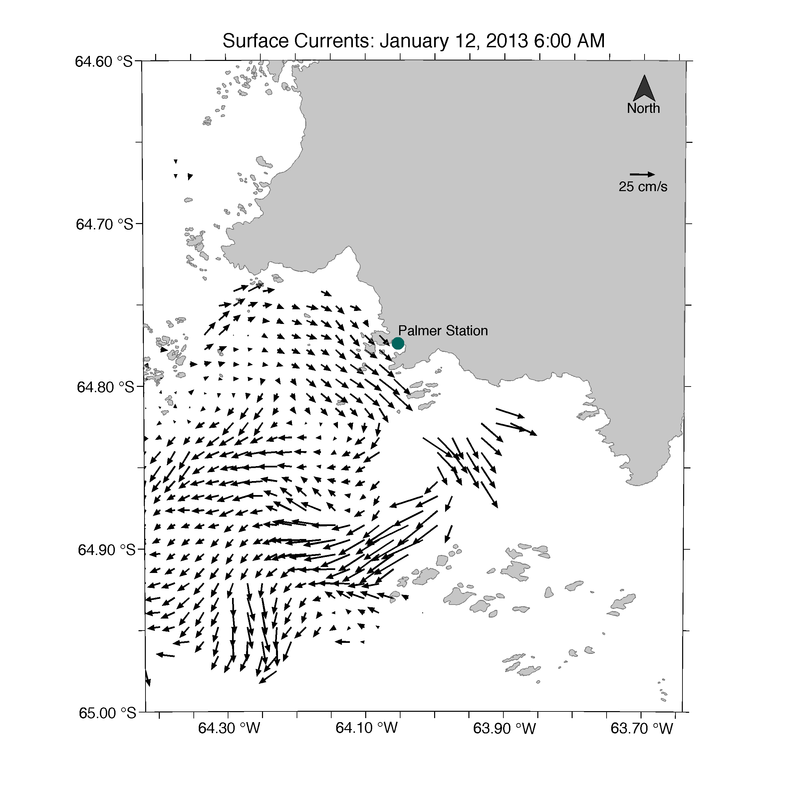 Through a hands-on data-synthesis activity, students will simulate the work of the Science Team as they integrate information of the surface currents and the penguin movement patterns to decide where to send the glider to collect data about the ocean conditions. 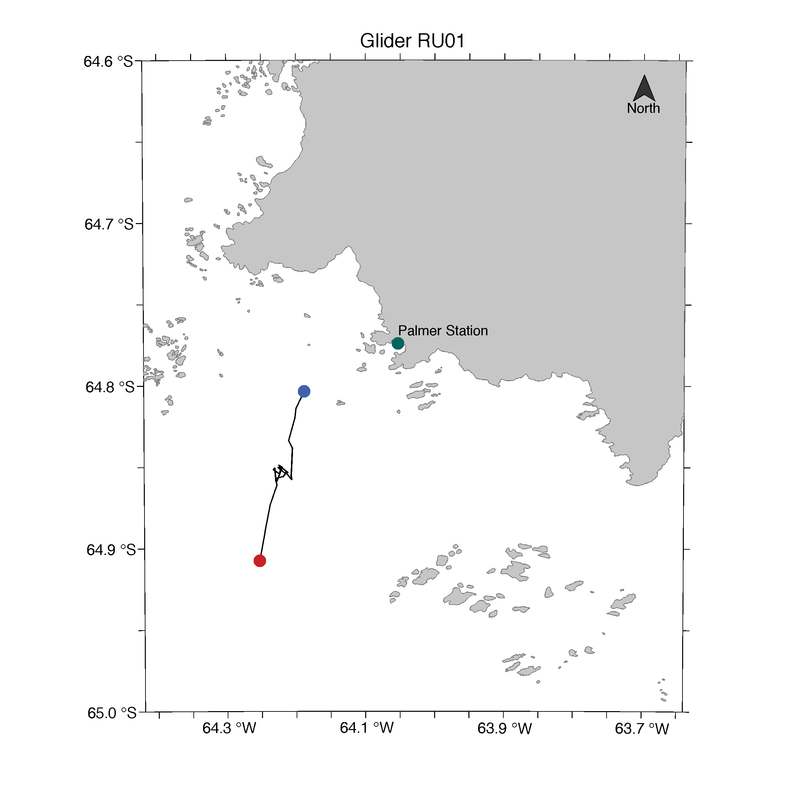 The students will experience similar decision-making points in piloting the glider that the Science Team will experience when in Antarctica. 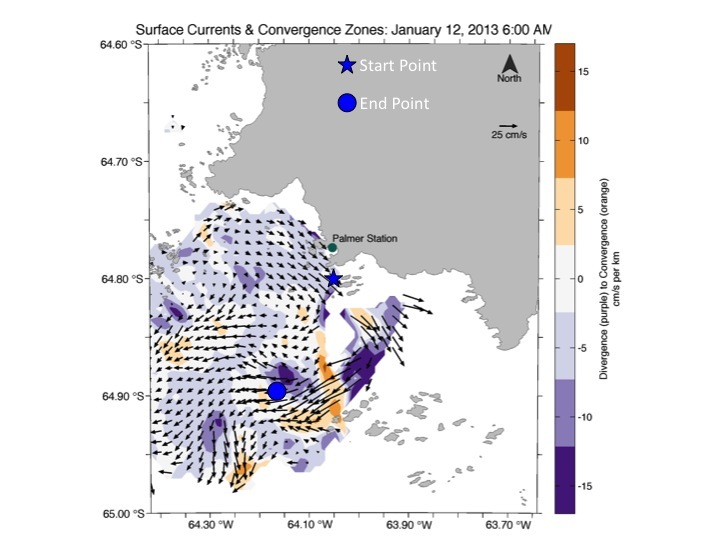 The students will then brainstorm what they would expect the glider data to show about the ocean conditions where penguins are foraging and convergence zones are occurring. 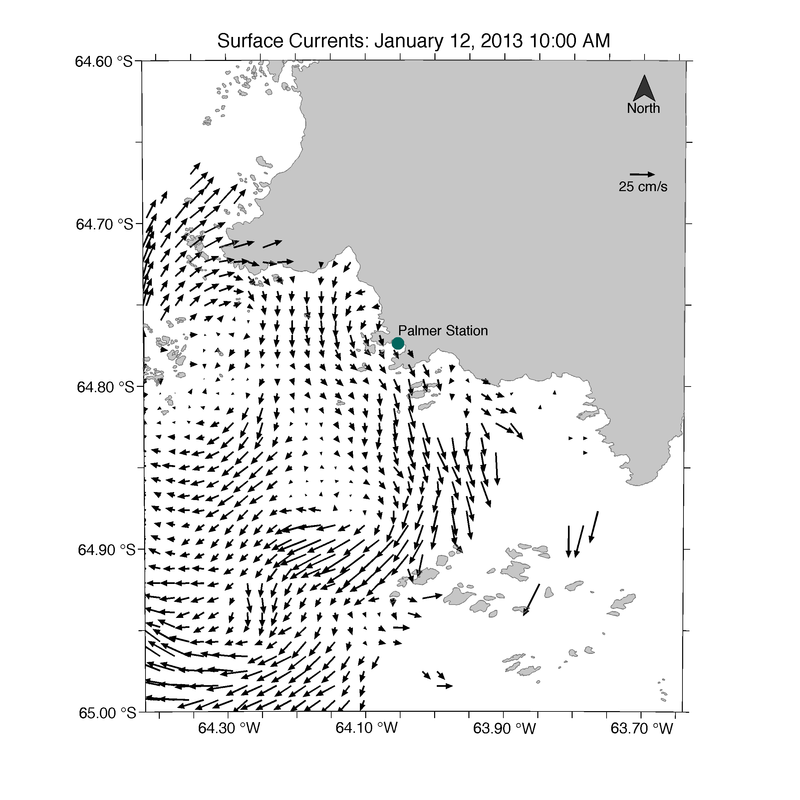 This site was developed with the support of the National Science Foundation's Office of Polar Programs under Grant No. OPP-1327248. Any opinions, findings, and conclusions or recommendations expressed in this material are those of the authors and do not necessarily reflect the views of the National Science Foundation. The education and outreach aspects of this project are supported by Rutgers University, Liberty Science Center, and COSEE Networked Ocean World.